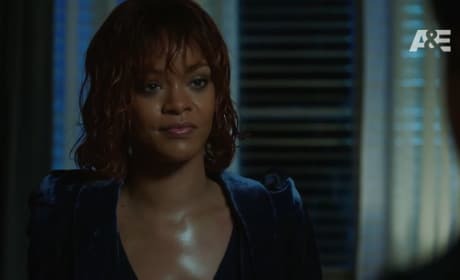 Another trailer for Bates Motel Season 5 has been released, and we're getting our first look at Rihanna's Marion Crane. This isn't going to end well! With Bates Motel Season 5 right around the corner, it's time for our first look at what Norman has been up to. Hint: we probably didn't want to know. OMG you guys the teaser trailer for Bates Motel Season 4 is out! And it's simply fabulous. Why? Because it leaves us screaming for more! Watch now. In Bates Motel Season 3 Norman will become the man he was always meant to be. Tracy Spiradakos joins Bates Motel as Annika. This isn't a clip from the series, but an actual homage. HA! Go behind the casting of Bates Motel in this awesome video from the folks behind the A&E hit. 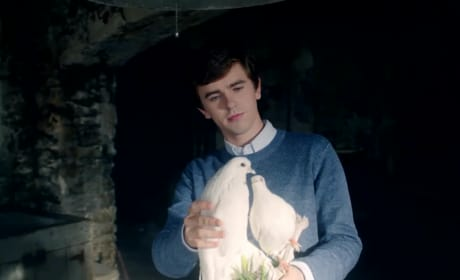 Freddie Highmore tells TV Fanatic what it's like to play Norman Bates in this Comic-Con exclusive. Watch now and gather up some Bates Motel scoop. 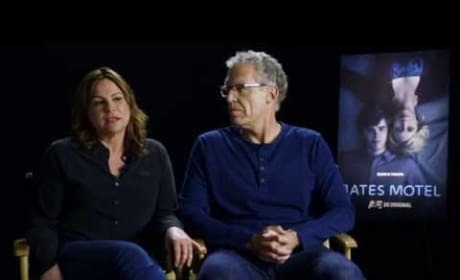 Kerry Ehrin and Carlton Cuse are the producers on Bates Motel. We caught up with the pair at Comic-Con 2013. 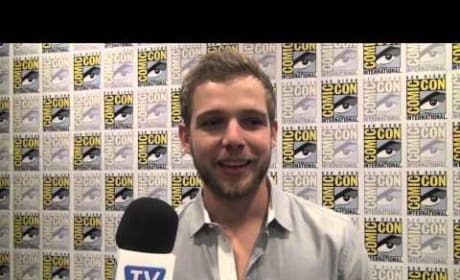 Max Thieriot stars on Bates Motel. Watch this interview for exclusive scoop from the actor at Comic-Con. 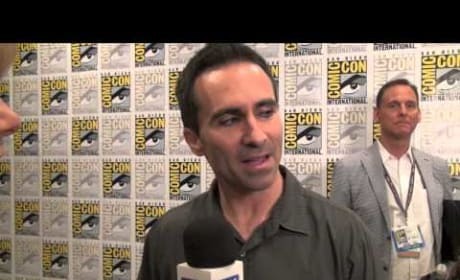 Nestor Carbonell chats it up with TV Fanatic at Comic-Con, giving us insight into his character on Bates Motel. Watch now. We're on the red carpet with Vera Farmiga at Comic-Con. Watch this interview now for exclusive scoop from the actress. We're on the red carpet with Freddie Highmore of Bates Motel. Watch now for exclusive scoop from the star.